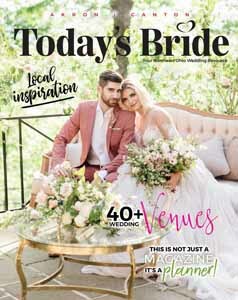 As the region’s premier bridal publication, Today’s Bride directly connects Northeast Ohio brides to the ideal wedding planning experience. Our magazine pages are filled with both elegant and creative ideas from hundreds of area wedding professionals — thus providing all the inspiration a bride needs in planning the biggest day of her life! Get your hands on a copy today by selecting the issue (or issues!) of your choice below. 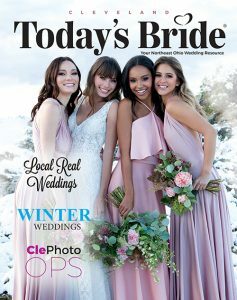 Free copies of Today’s Bride magazine are also available at these Northeast Ohio locations. *Please note: Your issue will be mailed via USPS Priority Flat Rate shipping. If you have any questions or have not received your issue within two weeks, please e-mail hello@todaysbride.com.